While tensions with unions have brewed throughout GM Korea's existence, the relationship grew more sour in recent months, culminating in employees storming the CEO's offices this month, destroying and removing furniture. SEOUL -- After 16 years and billions of dollars in investments, General Motors faces a decision in South Korea: stay or leave. GM international chief Barry Engle plans to meet South Korean officials this week in a last-ditch effort to salvage a deal for the local unit. Hit by union tensions, shifting customer tastes and mounting losses, GM Korea has an April 20 deadline to submit a turnaround proposal to the government. The unit is seeking concessions from unions as a condition to its plan -- and has threatened to file for bankruptcy if it doesn’t get what it wants. "Our preferred path remains to find a successful outcome here," GM President Dan Ammann told Reuters in an interview Thursday. "It's the right thing for all the stakeholders. But everybody has got to come to the table by next Friday." The April 20 deadline ratchets up pressure on the South Korean government and the state-funded Korea Development Bank, which said on Wednesday they needed until early May to complete due diligence on GM Korea and the automaker's financial plan before committing public funds. GM in February said it would close one of three assembly plants operated by GM Korea to help stanch losses. The April 20 deadline is significant because in the following week, GM Korea must make payments to workers who agreed to leave the company as part of a voluntary severance plan. The unit does not have the cash to make the payments, and GM has so far indicated it will not provide any more cash unless there is a deal with unions and the South Korean government. Ammann, who oversees GM's operations worldwide, reaffirmed what other GM officials told South Korean union leaders in late March. General Motors CEO Mary Barra had no qualms about leaving Europe, India and Russia and has said South Korea gets no special treatment as the automaker sharpens its focus on profitability. An exit would mean GM ceding one of its major production bases, leaving the company increasingly reliant on China for the future of its Asian business. “Something can’t be a nice-to-do or a good-thing-to-do, but it really has to generate a return,” Barra told investors at a Bank of America Merrill Lynch event in New York on March 28. “Most of you are aware of the significant actions that we’ve taken to exit or restructure lower-return parts of our business over the last number years, and we’re currently very involved in this in South Korea." A departure would end GM’s effort to build South Korea into one of its manufacturing powerhouses, a project that began with the purchase of Daewoo Motor assets for $1.2 billion in 2002. After thriving initially -- the unit exported to about 150 countries by 2012 -- it has been hurt in recent years as stiff competition forced GM to withdraw from several major European and Asian markets. In particular, the division was hit by GM's decisions in 2013 to halt sales of Chevrolet vehicles in Europe, to pull back in Russia in 2015 and to stop selling in India last year. GM built cars in South Korea for European markets and produced parts to be sent to emerging countries for assembly, known as complete knockdown kits. Local South Korean sales have also waned amid tough local competition. Since Barra became CEO of the No. 1 U.S. automaker in 2014, she has sold or closed at least 13 plants and walked away from markets boasting more than 20 million in total vehicle sales annually. Even before Barra took over, GM announced the closure of Australian production in 2013. 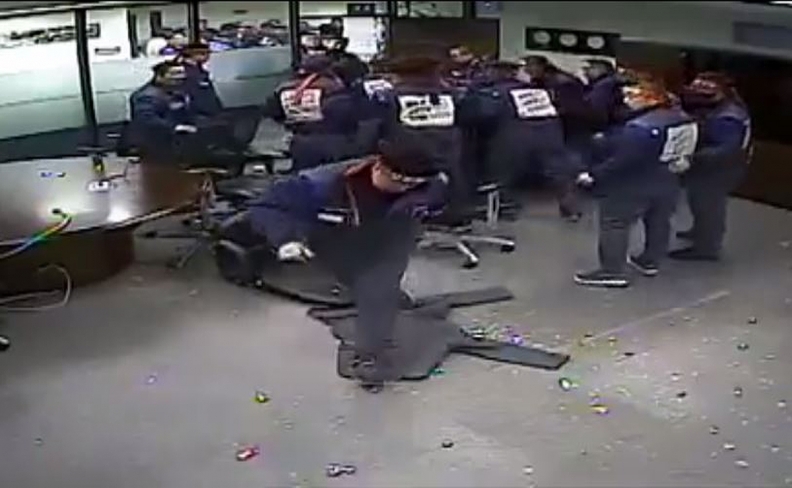 While tensions with unions have brewed throughout GM Korea’s existence, the relationship grew more sour in recent months, culminating in employees storming the CEO's offices this month, destroying and removing furniture.